The data reflect only one week of filing in a process that will last until April 15 for most taxpayers, and refund predictions by tax experts have been all over the map. MorganStanley has estimated they will rise by 26 percent, but others are less optimistic. The size and number of refunds will be politically sensitive this year in particular. Democrats, who uniformly opposed the GOP-drafted Tax Cuts and Jobs Act, say more people will owe the IRS this year because of confusion about withholding. 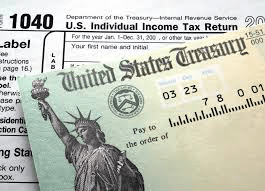 But House Ways and Means Committee ranking member Kevin Brady (R-Texas), an architect of the plan, has predicted that the number of taxpayers getting refunds will be around the same as in previous years…..